WHEN IT COMES TO THE WORLD OF PROFESSIONAL BALLET, Tamara Rojo is a force to be reckoned with. This Spanish artist is the lead principal dancer and artistic director for the small — but very well-respected — English National Ballet (ENB), positions she has traveled a long road to reach. Although, with her tireless approach to promoting and enriching the world of dance — while cutting across the lines between classical and contemporary ballet — it’s clear she still has a lot of creative work left to offer the world. Rojo kicked off her dancing career in Spain as a small child. Training at the Madrid Royal Conservatory of Dance laid the foundation for international recognition of her talents, which eventually led her to leave Spain as she pursued her passion and the different opportunities that presented themselves. She danced principle roles for the Scottish National Ballet and English National Ballet before being asked to become the principal dancer for London’s Royal Ballet, located at the iconic Royal Opera House in Covent Garden. Rojo has wowed audiences over the years with performances in Five Brahms Waltzes, Isadora, Prokofiev’s Romeo and Juliet, Swan Lake, and Winter Dreams, to name a few. Like plenty of dancers before her, injuries have plagued her career on occasion; ballet has an infamous and startlingly common tendency to damage dancers’ feet. Yet, like all professional athletes who deal with injuries related to their disciplines, this talented (and tough) Spanish woman has soldiered on. In 2012, Rojo became the artistic director for the English National Ballet, where she now has the opportunity to infuse that company with the artistic and creative vision she seems to have longed for. 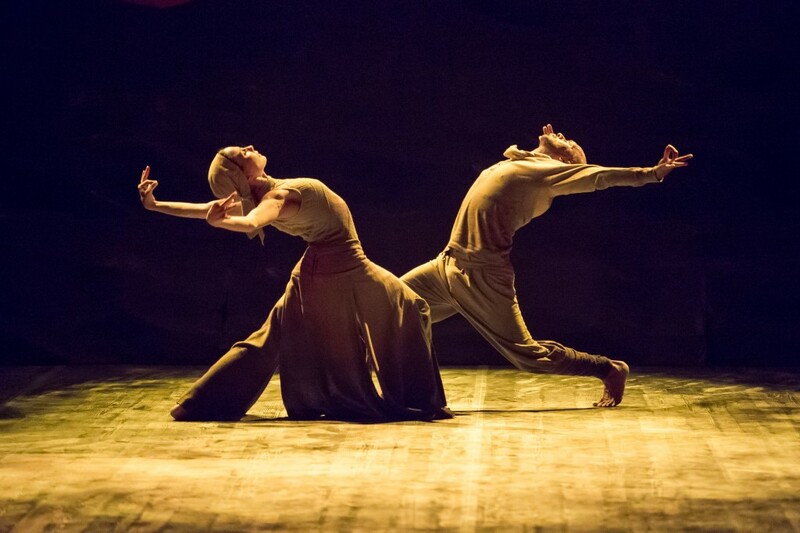 Rojo has garnered numerous international awards, including being named the “Dance Revelation of the Year” by The Times, winning the Laurence Olivier Award for Best New Dance Production (Goldberg: the Brandstrup-Rojo Project), and being a recipient of the Benois de la Danse Award. She’s even received some of the highest honors the Spanish government has to offer, bestowed to her by the Spanish monarch King Juan Carlos himself. While some artists might sit back and revel in the accolades, Rojo forges ahead. She is a fierce advocate for funding for the arts (ALL the arts), and isn’t afraid of shaking up the ballet word. In her role as artistic director, Tamara champions female choreographers (ENB’s 2015-16 season will be choreographed exclusively by women), while simultaneously continuing to dance and raise funds — and awareness — for the company. With ballet enthusiasts all over the UK, Europe, and other continents taking in her work, she has the potential to reach a worldwide audience. If you want to learn more about this phenomenal dancer in action, a good place to start is the in-depth documentary Good Swan/Bad Swan (above) featuring Rojo, which explores all that goes into playing and dancing The Queen of the Swans and the Black Swan in Tchaikovsky’s seminal Swan Lake. (It’s by far a much less psychologically-disturbing journey than the film Black Swan offers.) The documentary provides a fascinating look into how Rojo thinks and works, and demonstrates why she has made — and will continue to make — such an impact on ballet. Visit Tamara Rojo’s website to learn more about this trailblazing ballet dancer.